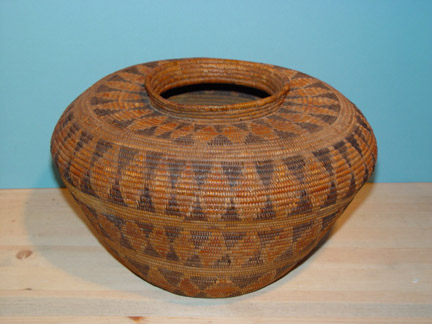 Fort Tejon Polychrome Bottleneck Olla Circa 1850's-1870's with Diamondback rattlesnake bands motifs. 1. 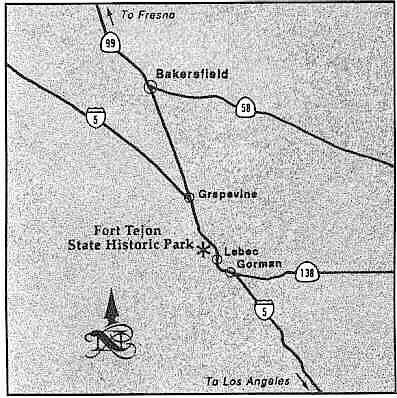 Chumash bands from the Santa Barbara coastline and moved to Fort Tejon along Tashlipun Creek. 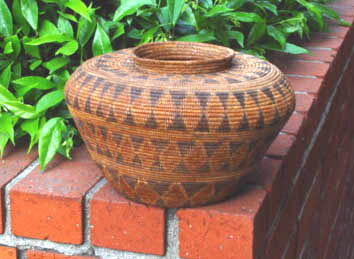 This basket contains characteristics of more than one tribal influence--especially those of Chumash and Yokuts cultures, which would have been found together only at Fort Tejon. 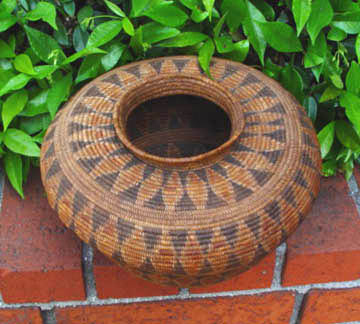 Both rod (Chumash-style) and bundle (Yokuts style) in foundation materials. Juncus and sumac exterior weaving materials as the Chumash used. Yokuts style rattlesnake band motifs and bottleneck form. Conservative early style form and motif most consistent with the circa 1850's-1970's early period at Fort Tejon.